Here at ABR, we love riding in the mountains. You can probably tell that by the number of photos of glorious passes and snow-capped peaks adorning the pages of our magazine and website. 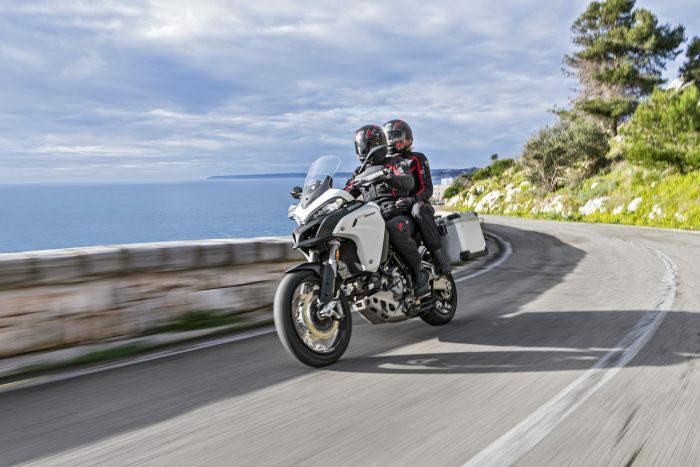 And being based in the UK, we’re lucky to be able to hop on a ferry to France and Spain and blast our way to the Alps or the Pyrenees in a day or two to experience the ecstasy of mountain riding. The downside to this approach is missing out on so much along the way. 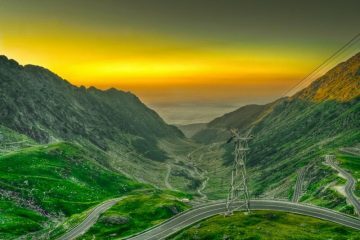 Hundreds of miles of natural wonders and historic towns and villages are often bypassed in favour of mundane toll roads and soulless roadside services. 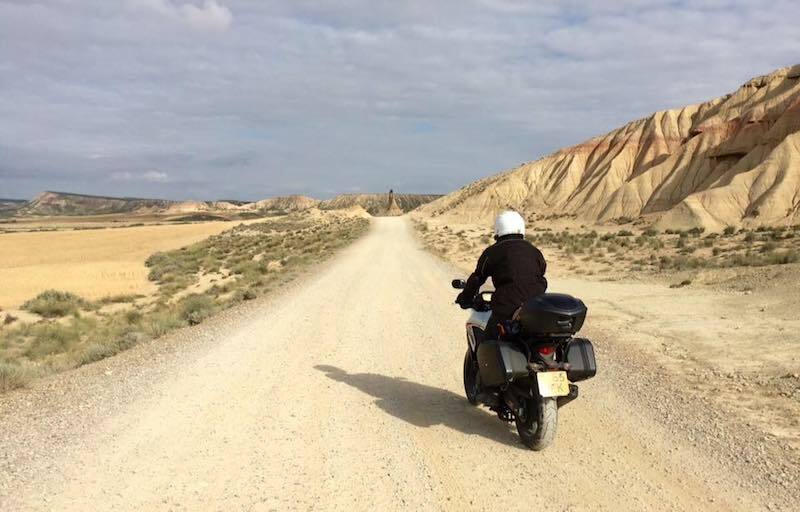 To rectify this, we decided to join forces with Brittany Ferries to list some of the best motorcycle routes in France, Spain and neighbouring Portugal that aren’t in the Alps or the Pyrenees. 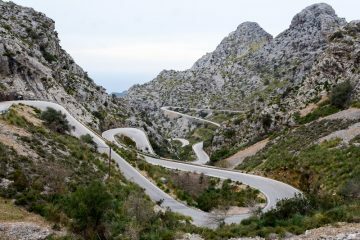 These rides will give you time to explore the landscape, cuisine and culture so often missed by bikers with mountain fever, while also providing some brilliant roads to ride. A rich yet brutal history attracts thousands of people to Normandy each year, and in particular to the battlefields of the two world wars. If you haven’t sat and contemplated the heroism of the D-day landings from one of its beaches, or experienced the seemingly endless rows of headstones that represent the final resting place of the fallen, we’d recommend it. It’s certainly a poignant experience but also an uplifting one as you get an understanding for the scale of human endeavour and sacrifice it took to liberate Europe. Linking these sites on a motorbike tour over a few days is the perfect way to explore this area’s rich history. But a visit to Normandy isn’t all about wars of the past. The north coast of France is a rugged and beautiful landscape featuring some cracking coastal roads. It is dotted with quaint towns and villages where you can enjoy fresh seafood, including oysters, scallops and mussels, the region is known for. 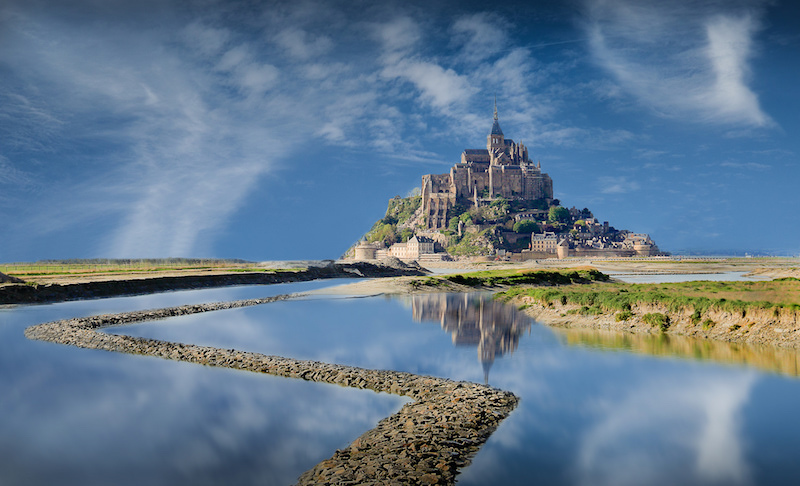 And a visit to Normandy wouldn’t be complete without a trip to Mont Saint Michel. This iconic monastery perched atop an island has been occupied for centuries and is a UNESCO World Heritage Site. There are plenty of scenic country roads to explore in the nature park as you ride through forests, vineyards and criss-cross the River Loire. 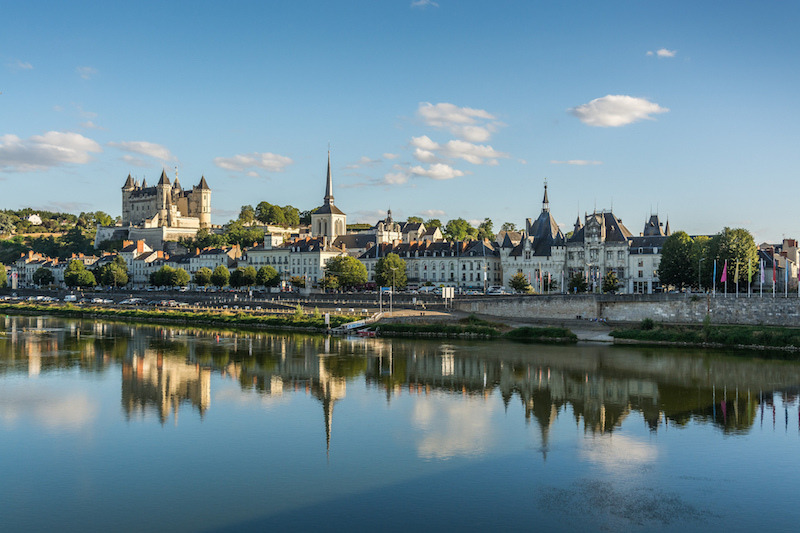 The picturesque tourist town of Saumur is a popular destination with both cyclists and bikers and a great place to base yourself for a few relaxing days of exploring this beautiful corner of the world. If instead, you like to stay somewhere new each night, Brittany Ferries offers a four-night 185-mile tour starting in Biere near Leonardo da Vinci’s former home, following the Loire west and taking in some of the finest chateaus in the region. Instead of turning left towards the Pyrenees when you roll off the ferry in Santander or Bilbao, take a right and head towards Portugal’s Douro Valley. The area is a UNESCO World Heritage Site thanks to around 2,000 years of wine-making history, including the production of its world-famous port wine. 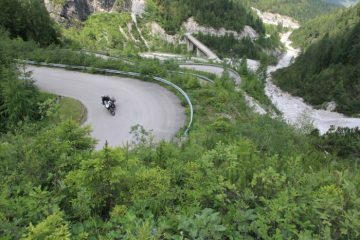 And handily for us, it’s a biker’s paradise with superb roads and a network of trails to explore. 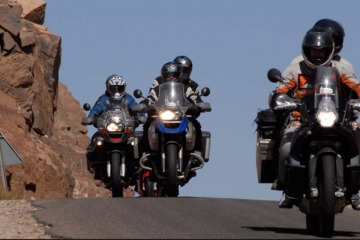 One road in particular, the N222, is a must-ride with the stretch between Peso de Regua and Pinhao named the best road in the world in 2015. This scenic highway winds its way alongside the River Douro, slicing through vineyards and providing spectacular views of the valley below. 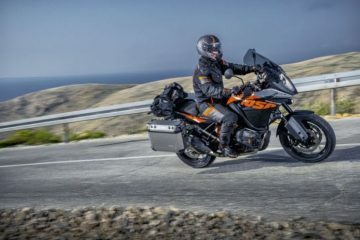 A number of companies offer off-road tours of the Douro Valley area which is testament to the quality of trail riding to be had in this part of northern Portugal. If you fancy a little more comfort and culture during your trip, make a stop in the city of Porto. 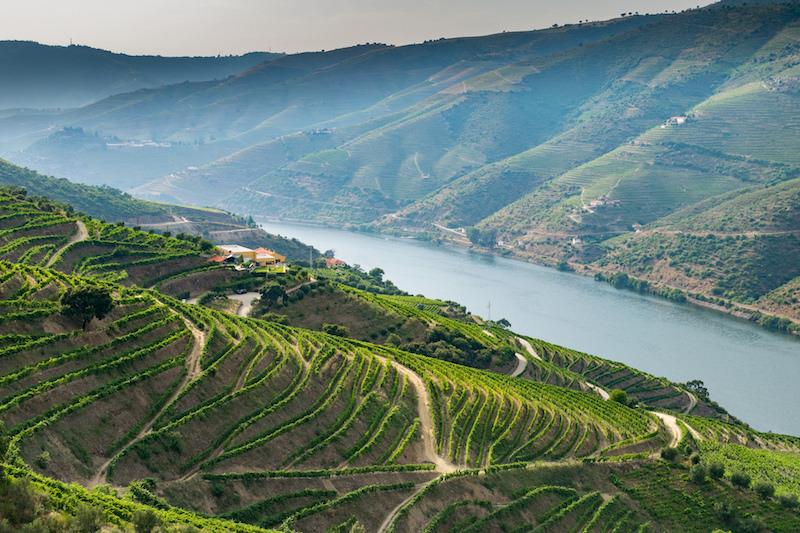 Perched on the banks of the River Douro, Portugal’s second city is a picturesque yet vibrant destination and the perfect place for a couple of days off the bike. By the time you’ve taken the ferry from the UK to Bilbao in northern Spain, you will have arrived in Basque Country. The area is noticeably different to the rest of Spain, with its own language, culture, traditions and food. Bilbao itself is certainly worth exploring, and no visit would be complete without a trip to the Guggenheim Museum, the architectural masterpiece created by Frank Gehry. Heading west out of Bilbao you’ll find yourself on the Basque coast road, one of Europe’s most scenic coastal rides along rugged cliff tops with views of the rolling waves below. Around 90 miles exhilarating miles later you’ll arrive in San Sebastian, Spain’s culinary capital known as much for its natural setting amid sweeping beaches and lush green hills, as it is for its world class food and culture. If the city isn’t for you, then head south west and cross into the Navarra region of northern Spain to reach the Bardenes Reales Natural Park. This desolate expanse of desert resembles the setting of a Hollywood cowboy movie with its imposing rock structures and arid landscape. Spend a few hours kicking up dust on the rocky trails as you explore this isolated part of the world. An early start is advised as the area can get stiflingly hot, particularly if you’re wearing full textiles. Brittany Ferries offers a five-night tour taking in the best of the Basque Country and Navarra, including a visit to Pamplona where you’ll be able to see the Running of the Bulls if you visit in July. Even without the exhilarating mountain passes of the Alps and the Pyrenees, it is easy to find brilliant places to ride in Europe. 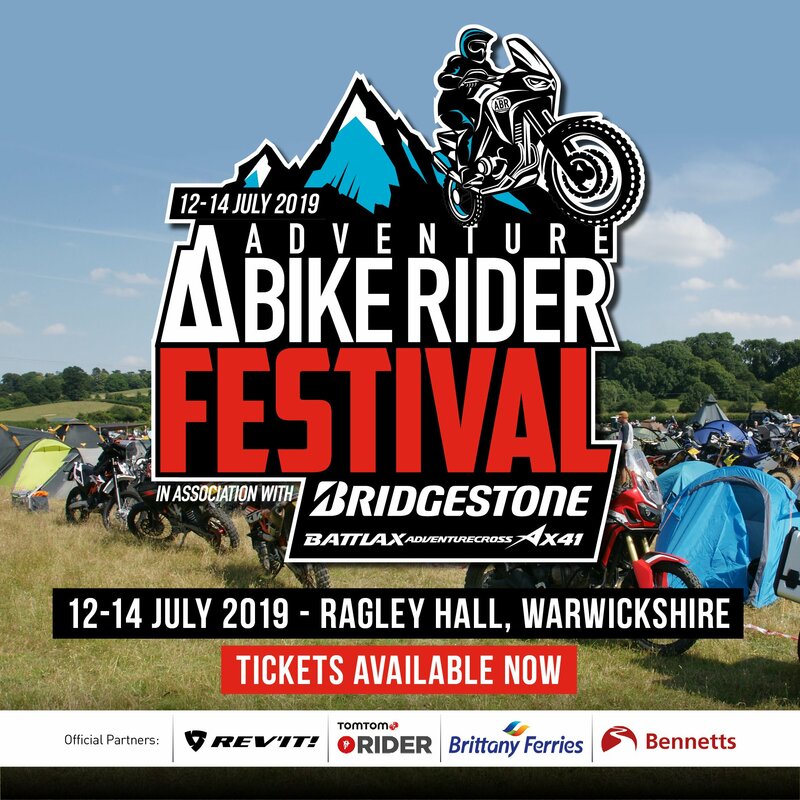 The joy of the living in the UK is the ease of hopping on a ferry, experiencing a relaxing crossing, and then getting stuck into a motorcycle adventure. Onboard a Brittany Ferries ship, you can choose to relax in restaurants, comfortable lounges, and stylish bars, or enjoy the cinema and live entertainment, before retiring to a well-appointed cabin. 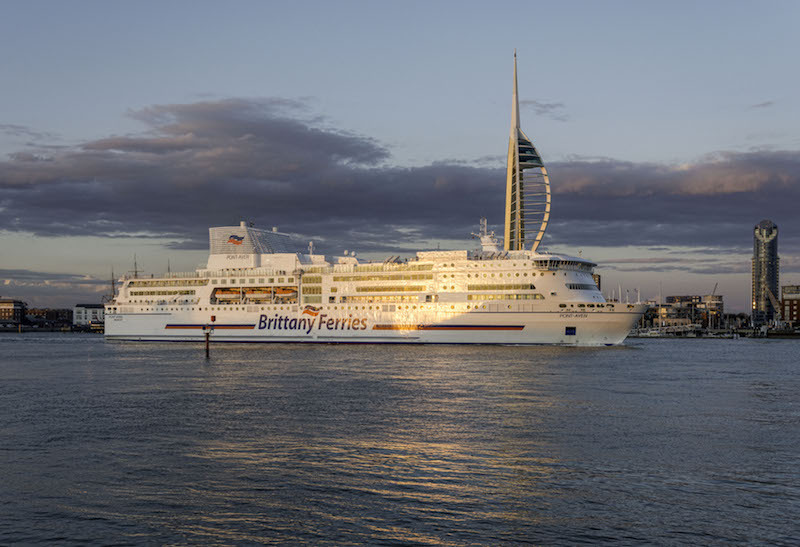 With the widest choice of routes from Portsmouth, Plymouth and Poole, Brittany Ferries makes it easy to travel to France and Spain and enjoy the open road. Choose from daytime, overnight or high-speed sailings to France, or a leisurely cruise to northern Spain.